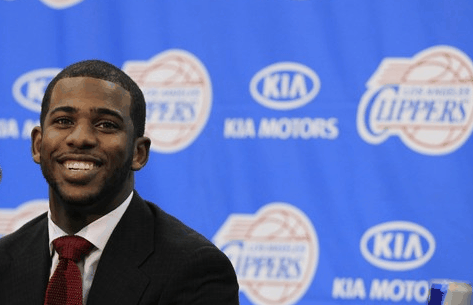 LOS ANGELES (Sporting Alert) — Chris Paul took charge early on his way to scoring 42 points and 15 assists and the Los Angeles Clippers defeated Golden State Warriors 126-115 at STAPLES Center Thursday night. Paul, who was told by coach Doc Rivers to start assert himself early in games, came out the gate flying as he pushed Golden State on the back early. The star point guard also had six steals in the win. Blake Griffin had 23 points and 10 rebounds before fouling late in the fourth quarter, while Jamal Crawford and J.J. Redick each finished with 17 points. Center DeAndre Jordan added 17 rebounds and nine points in the victory for the Clippers who bounced back from the 116-103 loss to the Lakers Tuesday night. Stephen Curry knocked down nine of his 14 three-point attempts against the Clippers Thursday night on his way to top scoring with 39 points and nine assists for Golden State. The sharp shooter was, however, disappointed with his 11. ”When you’re on the road playing against a team like that, one that thrives off turnovers and easy baskets, you can’t give them a game like that,” Curry said. David Lee scored 22 points and pulled down five rebounds before fouling out of the game, while center Andrew Bogut added 17 points and guard Andre Iguodala finished with a double-double of 14 points and 11 assists in the defeat.